As we prepare for the 21st MDRP Summit, which will include a full day workshop on the 340B drug discount program, it’s worth taking a look at the current state of 340B and the role it plays to help vulnerable and low-income Americans get access to vital healthcare services. Twenty seven million Americans remain uninsured, according to new numbers from the Centers for Disease Control. Among those under 65 with private insurance, 40 percent are enrolled in high-deductible plans. That’s an increase of 15 percent since 2010. The result is that safety-net providers are seeing more patients who either lack insurance altogether or who cannot pay the deductibles their policies require. 340B hospitals treat these patients regardless. But treating the poor and underinsured is staggeringly expensive. 340B facilities provide 60 percent of all uncompensated care despite the fact that they represent only about one third of all hospitals. That figure comes to nearly $25 billion annually. Safety-net hospitals care for nearly twice the number of low-come patients as other providers and more than two times the number of disabled, African American, Hispanic and Native Americans. Add to this the fact that 340B disproportionate share hospitals are more likely to provide money-losing services such as labor and delivery, HIV/AIDS care and trauma centers and the picture becomes crystal clear. The 340B law is structured so that hospitals access savings by providing discounted drugs to all patients, including those with insurance. Congress wrote the law this way, and that’s how it’s been implemented since the beginning of the program more than twenty years ago. 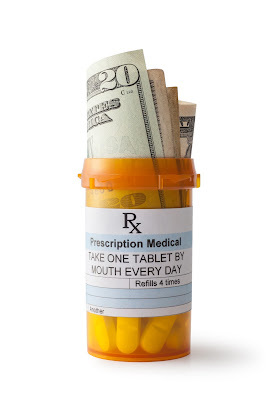 In addition to the documented evidence that 340B hospitals provide more uncompensated care and treat more low income patients, hospitals report using their drug discount savings in numerous ways that meet the program's purpose – enabling providers to stretch dollars so they can serve more patients and improve care. 340B makes it possible for Boston Medical Center to increase the number of Naloxone opioid overdose rescue kits dispensed. In Richmond, Va., 340B enables Virginia Commonwealth University Health System to operate primary care clinics and coordinate services for uninsured individuals. MetroHealth System in Cleveland, Ohio uses program savings to provide free and low-cost oncology care, as well as reduced prices on insulin and rescue inhalers. The program saves lives. Jack Custalow of Richmond, VA, received treatment for a defective heart valve. Tammy Willette of Greensburg, IN, faced aggressive breast cancer with no insurance. Dorian-Gray Alexander couldn’t afford his HIV medications. 340B has been a highly successful partnership that results in better care for the underserved in America. Safety-net providers treat all patients who walk in the door. The 340B program is essential to continuing that mission. Maureen Testoni, Senior Vice President and General Counsel at Safety Net Hospitals for Pharmaceutical Access.